The MeatEater collection includes every episode from all six seasons of MeatEater.  These 84 episodes include Steven Rinella's hunting and fishing adventures across the North American Continent. From small game to wild turkeys to big game and showcasing everything from dangerous encounters with grizzly bears to wild game meal preparations, MeatEater documents Rinella's deep passion for killer hunts and killer food. Hot on a 100-year-old tip from famed conservationist Aldo Leopold, Steven and wildlife ecologist Karl Malcolm hunt the Cibola National Forest in search of Merriams wild turkeys. Set lines, limb lines, trot lines, turtle traps, bows and arrows, they all make it out onto the Kentucky water with MeatEaters Steven Rinella & Kevin Murphy. Steve returns to his black bear roots in southwest Montana for a spring black bear hunt. He's hunted these mountains before, it's a special place and he's glad to be back. Steven is a cooking thief, otherwise known as a student of the culinary arts, and this week, he's learning from Chef Eduardo Garcia of Charged Film & Montana Mex, a storied chef who loves wild game as much as Steve does. Plain and simple: Steve gives the “how to” on breaking down a whole whitetail deer. Steve takes you through the process of transforming a whole deer into steaks, roasts, shanks and doesn't skip the extras that are often discarded. Steve joins ranch manager and wildlife biologist Ben Binnion for a couple of days during his annual pig roundup to learn about the other side of the Texas hog story. Steve’s quest for a giant mule deer buck continues in central Idaho. To help Steve in his journey, Ryan Callaghan has offered up one of his best spots as well as his keen spotting skills. The duo backpack hunt in some of the West’s steepest and prettiest mountains seeking the colossal buck of Steve’s dreams. In part two Steve finds the buck he's been searching for his whole life. The dream is realized and Steve and Ryan feast on a slow cooked roast. Steve and Janis head to the Sonoran Mountains of Mexico to hunt the elusive Coues deer & javelina. Helen Cho and Brittany Brothers are back for a double episode. This time around they’re hunting whitetail deer in Wisconsin on the famed Duren farm with Doug Duren and Steve as their guides. In part two both Helen and Brittany get their chance at Duren farm bucks. Hobo dinners over the campfire make it deer camp. In Part One, Steve experienced the difficulty of hunting the Sooty grouse of southeast Alaska. In Part 2, Steve joins his friend Barbara in Juneau who shows him the in and outs of finding “hooters.” Tromping through Southeast Alaska rainforest, Steve and Barbara discover a mutual fondness for an unconventional hunt. Barbara concludes the hunt with a beachside meal of fettuccine a la sooty grouse. Last spring, Steve decided to pass up an opportunity to kill a black bear in favor of an extended up close and personal experience. This time, Steve heads back to his shack on Prince of Wales Island and he’s brought his friend Paul Neess from Vortex Optics along to share the experience of using a canoe to slip in close to these giant black bears. In the first part of this series, Steve attempts a unique spring hunt for sooty grouse in the coastal rainforests of southeast Alaska. These mysterious hooters make for a hunt that is markedly different from any other and success doesn't come easily. The last time Joe Rogan and Bryan Callen went out with Steven Rinella they were soaked head to toe and came home meatless. To remedy their meat crisis while keeping them dry, Steve sets up a springtime wild turkey hunt in sunny California. Steve gives Joe and Bryan the A to Z on hunting, butchering, and cooking the wild turkey. Steve caps off the introductory lesson by preparing his favorite turkey recipe: Schnitzel. Lightning strikes twice: Steven Rinella has somehow beaten the odds and drawn a second Muskox tag after having to forfeit his first one four years ago due to unforeseen circumstances. Steve has always regretted passing up an opportunity to hunt Muskox but with another tag in his pocket, nothing will stop this adventure. We learn about the native history and culture of Nunivak Island's as Steve tries to stay warm while chasing Muskox 30 miles offshore in the Bering Sea. The muskox is delicious and so is the tomcod dipped in seal oil. Brittany and Helen have put more work in on MeatEater than just about anyone else. For two years these adventurous ladies have built up an intense desire to learn how to hunt, and it’s about time they get out there. Steven Rinella takes them through the process from beginning to end. They need to get their hunters safety, learn to shoot, train for the woods, and get geared up. When November comes they're ready to go, and they strike out into the mountains of northern Montana for the adventure of their lives. First Lite’s Ryan Callaghan comes along to lend a helping hand, and they all head into the Sweetgrass Hills with high hopes of eating a traditional first-hunters’ meal of fresh elk heart. Steve is fascinated by indigenous people who live in the wilds South America. In this three-part series, he travels deep into the Amazon jungle to hunt with and learn from the locals there. Not only will this be one heck of a hunting adventure, it will be a mind-opening, life-changing event. From bowfishing to hunting in the jungle at night, you never know what the evening’s menu will bring. Note: This is a 3-part series but comes as one complete episode. Dropped off by bushplane on a remote lakeside in the wilderness of Alaska’s Brooks Range, Steven Rinella and wildlife biologist Brandt Meixell have ten days of hunting before the plane returns. Big-antlered Yukon moose are few and far between but hard work pays off for hunters who stick with it until the bitter end. Note: This is a 2-part series but comes as one complete episode. Steven Rinella heads to Wisconsin to spend a few days on his buddy’s historical family farm to hunt small game and whitetails in the famed Driftless area. There's plenty of action and tasty wild game meals like Grilled Butterfly Venison Steaks and Hassenpfeffer rabbit stew. deer buck. To combat the freezing temperatures, Rinella plans to make a hunter's stew to celebrate a successful hunt. Steven Rinella is invited by the Rocky Mountain Elk Foundation for a special opportunity to hunt elk during the rut in the mountainous coal country of southeastern Kentucky, a place where his hero Daniel Boone once roamed. This is Steve’s first eastern elk hunt, and he quickly realizes that the rules of the game here are different. If he manages to track one down, he’ll prepare what was supposedly Boone’s favorite meal: elk liver. Steven Rinella scratches his spring turkey itch this year as he visits Southeast Wisconsin to call in some big eastern Toms with his buddy Jerod Fink. The guys also plan to do some bow fishing after dark so they can enjoy a real Midwest turkey and fish fry. 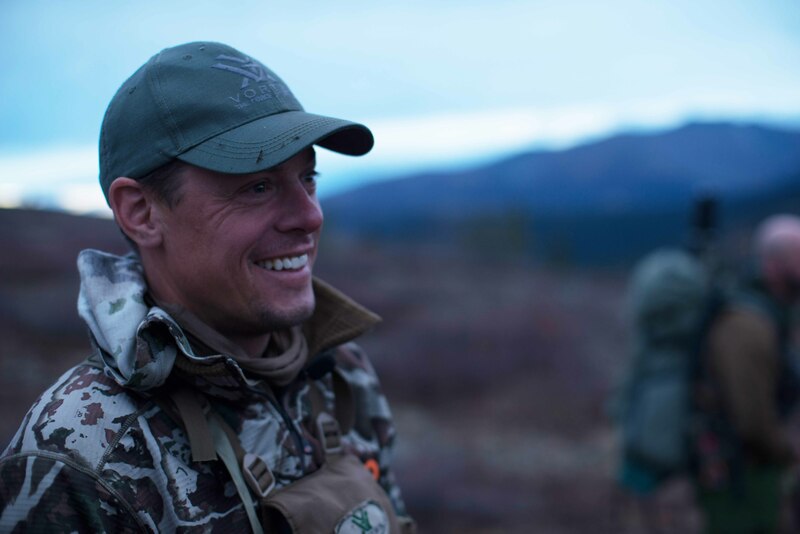 Steven Rinella will take Navy SEAL Rorke Denver on his first hunt deep into the Alaskan backcountry to search for black bears in the mighty Alaska Range. In the remote wilderness, two friends will look into the differences and similarities between the hunter and the warrior. The bears are out but Rorke and Steve will have to work hard to put a tag on one. Part 2: The Alaskan backcountry hunt continues as Steven Rinella and Rorke Denver try to find a good bear. Rorke soon learns that the hunt is only half the battle. After a lesson in field butchering, Rorke and Steve head back to camp to do a little fishing and foraging to round out their bear feast. Steve ventures out to his hunting and fishing shack on a remote coastline of southeast Alaska’s Prince of Wales Island. While hunting bears from a skiff and a canoe, Steve gathers a variety of prime seafood and makes a discovery about his own motivations as a bear hunter. Steve and his buddy Ryan Callaghan, a British Columbia guide, hike into the steep backcountry of northern British Columbia in search of grizzlies and black bears. This alpine adventure includes some intense and up-close bear action – almost too close. Steven Rinella and his buddy Doug Duren give comedians Joe Rogan and Bryan Callen their first taste of Midwest deer hunting culture by sitting in freezing ground blinds on opening day in Wisconsin. It just wouldn't be a trip to the Duren Family Farm without a little trapping and duck hunting thrown in, rounding out the larder for a big wild game feast. Television personality Joe Rogan and his best friend, comedian Bryan Callen, join Steven Rinella for their very first hunt. On a float trip for mule deer through the rugged Missouri Breaks, this is as adventurous of a first hunt as anyone could hope for, and Steve’s special guests are in for a memorable experience and delicious wild game field cooking in some gorgeous country. After drawing one of the most coveted big game tags in North America – a Tok Management Area Dall sheep tag – Steven Rinella heads out for a truly rare and epic Alaskan experience. Along with his brother Danny and friend Paul, Steve is dropped deep into the Alaska Range. After a rugged hike through nasty weather, Steve’s skills and fortitude are tested against his elusive, high-climbing quarry. Steven Rinella crosses the border into Mexico's desert to call in the Gould’s wild turkey. Of the five turkey subspecies in North America, the Gould’s is the largest but rarest. On this unique Mexican adventure, Steve finds exciting action for gobbling toms. With locally made charcoal at his disposal, he'll grill up a big, brined, delicious bird. While Steven Rinella has hunted for javelina, in this episode he’s shown an entirely new tactic when his buddy Remi Warren demonstrates how to use a predator call to call them in at a full charge. After the hunt, the plan is to enjoy a local delicacy, Chorizo de Javelin, with help from an experienced Mexican ranch cook. In addition, Steve and Remi hunt for coyote with the intent of roasting the animal. It's an experience neither hunter will soon forget. Steven Rinella returns to his cherished boyhood stomping grounds along Michigan’s Muskegon River. He'll paddle his canoe through the marsh to camp and bow fish for sucker, bowfin, and gar. With the rich bounty of overlooked aquatic foods that can be found in this freshwater paradise, he'll demonstrate how beat the heat by salt curing fish and later he'll prepare a camp meal of fried gar. Steven Rinella and friend Cody Lujan head to Northeastern New Mexico to hunt pronghorn antelope, the fastest big game animal in the United States. In the wide open desert plains, Steve will have to work hard to stalk within range of a mature buck. The payoff will be antelope loin topped with local New Mexico chiles. In this episode, Steven Rinella joins forces with fellow hunter and wild game chef Hank Shaw in the hills of Central California to go after Columbia blacktail deer, wild pigs, and a handful of small game species that are in season. The end result is a culinary smorgasbord of epic proportions. Steven Rinella and local pig hunting expert, Darren Moore, spend a wild, action-packed day tracking down Captain Cook boars in the thick New Zealand bush. Their tools for the job include two tough little pig dogs, a knife, and some real grit. Wild pigs are dangerous critters and this is as visceral as a hunt gets. Along the way, Steve learns a new technique for field-prepping whole hogs. Steven Rinella and his brother Matt load up the llamas for a backcountry spring Turkey hunt in Montana’s Powder River Breaks. They will pack deep into the rugged badlands to find gobbling birds. With two tags each, there's plenty of action and camp-fried turkey schnitzel is on the menu. In the harsh desert Southwest, Steven Rinella has come to learn the truth about tracking a mountain lions with dog. With the help of two expert lion hunters, he immerses himself in the physical and emotional challenges of cougar hunting. Sometimes the reward of the hunt is the thrill of success and a delicious meal, and other times it’s a more personal, and possibly more important lesson of knowledge and humility. 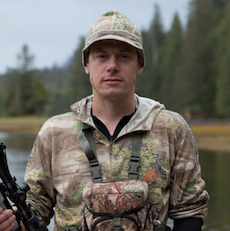 Steven Rinella is on New Zealand's South Island for a do-it-yourself, free-range hunt for the majestic red stag. But first, he needs to secure some camp meat in the form of wild lamb. Battling weather and wary game in mountainous terrain, he uses his spot and stock hunting skills to discover Kiwi red stags are a trophy worthy of the wall and the cook pot. Steven Rinella heads into the mountainous desert backcountry of west Texas after Barbary sheep, or Aoudad. These introduced sheep from North Africa are hard to find and harder to hunt. Challenged by the harsh environment, rugged terrain, and elusive sheep, Steve finds this hunt to be one of the most difficult he has ever undertaken. With the help of guide and friend Remi Warren, Steven Rinella gears up for a massive climb into New Zealand’s Southern Alps in pursuit of Chamois and Tahr. The hunters will travel light and base out of an alpine hut to find animals Steve has never hunted. Things turns adventurous quickly; with an impassable glacial river between Steve and his goal. But with hard work, Steve experiences a do-it-yourself high country hunt like no other. Steven Rinella takes to the canyons of the West Texas desert in search of javelina. In this broken, rocky terrain finding these unique critters isn't easy and getting a clear shot on a skunk pig with a bow is a whole other story. But Steve is inspired by the evidence of he finds of ancient hunters that used the area to prepare a meal that honors both the animal and our hunting ancestors. As summer turns to fall, Steve heads into the backcountry of Alaska's Chugach Range. The bears here are on a quest to fatten up on high elevation blueberries before they hibernate for the winter. Steve will need to hike into steep, rugged terrain to find a fat black bear and some of the finest tasting meat available to the American hunter. In “MeatEater,” author, hunter and outdoorsman Steven Rinella takes a walk on the wild side - where cliffs, claws and the culinary arts all come crashing together in one nail-biting adventure. In each episode, Rinella deconstructs and masters any hunting technique; tracks and pursues prey; and procures his own food… all culminating in a mouth-watering meal. Far from trophy or sport hunting, Rinella stays true to our ancestral tradition of sustenance hunting – nothing he harvests goes to waste. Whether tracking blacktail deer in the rainforests of Alaska or rooting out javelina in the deserts of West Texas, Rinella defers to his backcountry roots, challenging himself at every corner while providing an amazing adventure along the way.